Why be shy? You don't have to be! We really do have amazing photography. This is photography like you've never seen before. Our goal for every session is to capture beautiful images that will never go out of style, and also the fun and expressive images that really show your family's personality! Camera shy provides the latest in style with creative photography that you'll love to show off to friends and family and will look fantastic in your home. Amazing photography can also be affordable. When it comes to pricing, we believe simple is better. $118 gets you all of your amazing images on a copyright released online archive, and 8x10 prints are just $5 per sheet. We have a wide variety of both framed and unframed enlargements that are of the highest quality and very affordable. Visit the studio to learn more about how you can decorate your home with our unique portrait products. Our same-day service means it’s super convenient too. In and out in about an hour with your copyright-released online archive, and same-day printing for all of your sheet needs. 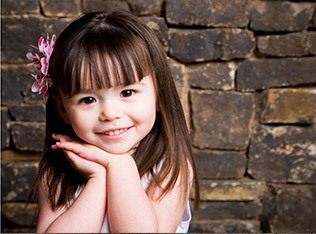 Our satisfaction guarantee means we'll reshoot your session if you're not happy with your images. We're located in four easy-to-access locations. Everyone in the family, from infant to grandparent, look their best. Our studios are equipped with walls perfect for every occasion and outfit. You can choose from a wide variety of backdrops, props, and poses. We'll show off your family's personality, whether classic, goofy, or anywhere in-between. 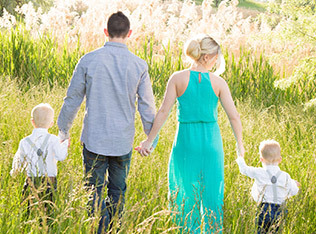 Capture your family in Utah's beautiful outdoor scenery. Locations include Highland Glen Park in Lehi, Bicentennial Park in Orem, and Historic Gardner Village in West Jordan. Please call ahead to book! *Outdoor sessions require a $20 deposit, and are $168 at non Gardner Village studios. "This was by far the best experience I have had with a studio. Instead of sitting on a big block in front of a stuffy background you had furniture, props, and many backgrounds to move between. LOVED it! " ""LOVE, LOVE, LOVE My Pics from todays shoot! I can't wait to show them off! I will recommend Camera Shy to all my friends and family! Thanks a bunch!" "
"This studio is so awesome! Your staff is extremely talented and super sweet. We appreciate the time you took with our family to create priceless photos! I would highly recommend you guys to everyone! Thanks again girlz :)"